"pay the extra go Icelandair"
I hope people who haven't heard of WOW air get to read this. I looked into some reviews on this airline and they weren't all the great. I was looking for a cheap flight with enough leg room (6'5") that's it. Which they provide. A istent complaint in most reviews I read was that they are constantly delayed or cancel flights. I thought I could sneak through without incident, but I didn't. We were delayed about 2.5 hours before they cancelled the flight. They set us up in a hotel for the night, and gave us a good voucher for the next morning equal to less than $12. Anyone who has been to Iceland can realize how little that really is. 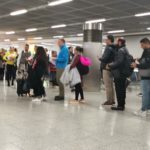 There was very poor communication between the airline and people on the flight, and no real protocol for situations like this, which, as I have read, happens often. Pay the extra go Icelandair, or whoever else goes to Iceland. "clean, enough leg space, reclinable seats"
New aircraft, clean, enough leg space, reclinable seats. The staff was very friendly, service-oriented and professional. The outbound connection from KEF to SFX was no problem, since they use the same plane from BOS to SFX. The return connection from KEF to BOS at 15:35 could have been made, but was cancelled due to a technical problem on the plane supposed to serve that leg. The flight then was postponed to the next morning 6:30. Customers were compensated with a night in a 4 star hotel + dinner in Reykjavik. After the cancellation had been announced, everything was set within 30min. The morning flight then departed in time without further interruptions. 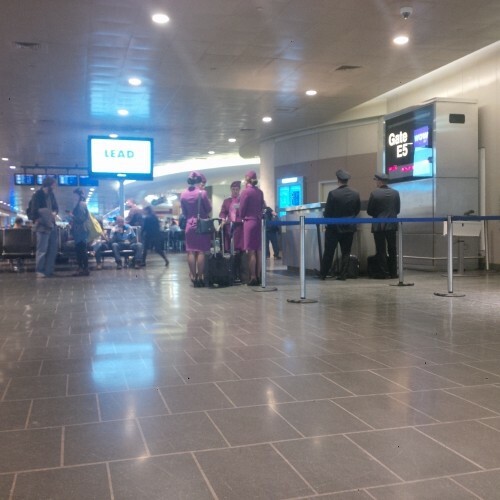 "Cabin crew was friendly, easy-going"
Flew to Reykjavik from London return trip. Check-in went smoothly, they don't really pay attention to the weight and size of every piece of luggage like many low cost airlines do. The flight was smooth and the pilots give useful information about the flight. Cabin crew was friendly, easy-going and accomodating. They even told us on the microphone we might see northern lights from our plane! Only thing is we have to pay extra for any food or beverage, but well, that's a low cost airline. First time flying with WOW and no complaints. Practice due diligence. All information is on web site and fees obvious during purchasing process. Price of our flights with 1 checked bag, seat assignments, and travel insurance (purchased due to family situations) was still half of BA's price. Using a travel scale prevents additional fees. Walked directly from arrival gate to departure gate at KEF without going through passport control. Will definitely consider for future flights. WOW fills transatlantic void left by Icelandair departure from BWI. First time flying with WOW and it was great. If you want luxury, free meals and pampering, this flight is not for you. The tickets are cheap after that you have to pay for everything luggage, food, seats, but it really isn't bad,. If you are all about traveling light, saving money and getting there book WOW. I would book with them again, you want to be able to save your money for your destination and not on the plane. 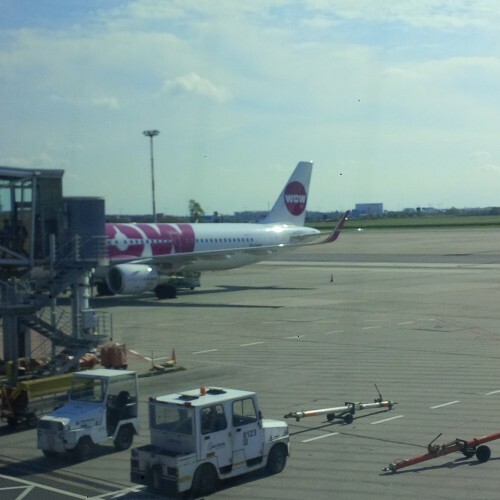 Travelling with WOW air was a stressful experience. A few days before leaving Copenhagen, I discovered by coincidence that the checked luggage was not included in the price. Something WOW air didn't care to mention at any point when I first bought the ticket. I had to pay an additional 100 USD, which erased the savings compared to other airlines. Next stressful element came in Copenhagen Airport after check-in. Plane was delayed three hours, no explanation, and I would miss my connecting flight from Reykjavik to Boston. To be fair, they got me on a plane from Icelandair and I caught my next flight. But it took several phone calls to WOW air, an immense lack of information and a fantastic effort by the SAS staff in Copenhagen to make that happen. In flight services requires further additional payment (I didn't buy them), making WOW air significantly more expensive than the great airlines Virgin Atlantic, Delta Airlines and KLM. Leg space was a plus between Reykjavik and Boston, but on the return trip from Reykjavik to Copenhagen, my knees were constantly jammed against the seat in front of me. I am 1.83 meters, so I wouldn't consider myself a giant. Lastly, when checking in for the return trip in Boston, it wasn't possible to get my boarding pass from Reykjavik to Copenhagen. So after landing in Reykjavik I had to collect my luggage and check in again. Several phone calls and double checks of my passport indicated that I had fallen out of the system in some way - again, not much information. I actually called WOW air weeks before my trip to make sure I wouldn't have to do that, and they assured me I wouldn't. But I did have to, and it would have made me miss my flight to Copenhagen with a little shorter layover. I want to stress that the cabin crew on WOW air are not to be blamed, but in the future, I will pay extra to avoid travelling with WOW air. Not worth the potential savings. They get two stars solely because I had roomy seats for the longest two legs of the flight, and because people ignore one star reviews. All flights were delayed. Some passengers were emailed, I was not. The flight crew either gave no information about connecting flights or completely inaccurate information. Staff were nowhere to be found at Keflavik. Airline or airport staff. Gate agents closed the gate at Gatwick before WOW's posted closing time, causing issues for some passengers. Customer service is unresponsive. Gate agents in Keflavik are sullen to the point that's it's funny. Keflavik was a nightmare. Five flights full of people all crammed into a tiny holding area, shoulder to shoulder. No airline or airport employees to be found. Poorly labeled gates in areas that are under construction. Aggressive, angry passengers lashing out at each other. Everything that could be bad about boarding practices happened here. Contrast that to the orderly, calm boarding at both BWI and Gatwick and it is clear the home base of this airline has a problem. Very specific, probably won't happen to you complaints - another passenger's bag fell on my head, but according to Wow this is somehow my fault, for sitting quietly in my assigned seat and magically willing a bag to fall on me, not the fault of their free-for-all boarding practices. The condescending and infuriating email response I got after a week and two messages was just icing on the cake of a completely miserable experience. A true nightmare. Check in at 8pm - flight delayed to 3:45am for technical reasons. No WOW Air representative anywhere. At 1:30am we had to take a taxi to an hotel 30km away. Nobody told us that the flight was scheduled for next morning at 11am discovered by chance on a written poster (someone should tell WOW that email has been invented) Back to the airport (40€ taxi). Total chaos, the flight was never announced on the displays. We got the boarding pass but the date was day before so great difficukties at security. Eventually arrived to the gate, it was changed at least 6 times with no human around. At 11:30am we got on board. Good news? No - we are still here at 12:30 with an inside temperature of 40 degrees. Not sure if and when we will go. Again with total absence from the company and the airport staff. My partner's flight was five hours late. Two weeks later, although the flight status right before leaving for the airport was green light, and the weather at both ends was fine, my Gatwick-Keflavik WOW flight was 2.5 hours late. 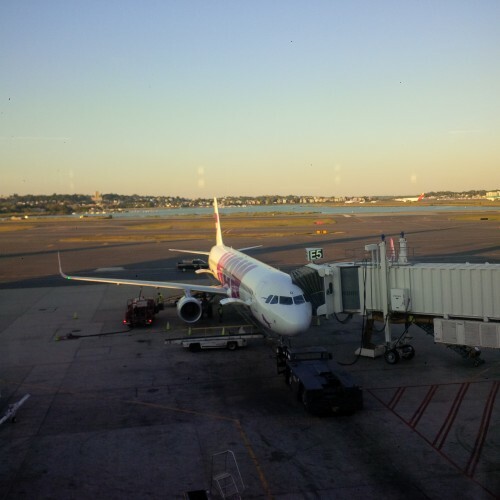 I was connecting to an Icelandair flight to Boston, and was very skeptical when the WOW flight attendants told several people not to worry, that Icelandair would hold the plane. Of course they did not hold the plane, and I had to re-book for the next day's Icelandair flight. Change fee was $400, fare difference $60, but I also had to spend the night in the airport hotel plus eat a dismal dinner there. Total damage was about $700. WOW refused to compensate me since, while it was their fault that I missed the Icelandair flight, it was a different airline. Icelandair understandably refused to compensate me. I will not fly WOW again. My theory is that discount airlines have low seniority regarding landing gates. You get what you pay for with Wow Air. Booking is pretty easy online. I was surprised when asked to choose my seat and that charges were added to my bill based on where I sat. I chose to sit in the cheap seats $5-$10 on each leg. When I boarded I really didn't see a whole lot of difference between my seat and the more expensive ones up front though there may have been a couple of inches difference. The plane was clean and the staff friendly. I didn't mind that there was no entertainment. I brought a good book and read or napped the whole way. I had chosen aisle seats but still felt claustrophobic when the passenger in front of me moved his seat back. It's tight! I had read that food was extra and expensive (they even charge for water) so I picked up something at Logan airport on the flight over to Denmark. The problem on the return to Boston was that I had barely 40 minutes between flights once I got off the plane in Reykjavik. I couldn't spend much time making selections or using the lady's room (fortunately only a short line). And it was a 15-20 minute walk to my gate in Iceland. Speaking of Iceland, the only flight from Boston to Copenhagen is overnight and also stops in Iceland at 4am. This layover, unlike the return, is 3 hours long and the entire airport is closed and practically deserted. Even my gate wasn't open. If any airline is going to drop off people in the middle of the night the airport should have something open-or better, cots set up so we can sleep. It's a long time at an awful hour to be sitting and waiting. Being able to have breakfast would be nice. My only big complaint on this trip was that Wow Air doesn't have a desk set up in Copenhagen airport until 2 hours before the flight. You cannot get a boarding pass online but must go to the gate. The line queues up fast and it's long as the flight is full. And here's the problem-having been in the EU for 2 weeks I wanted to get a tax refund. The system is already complicated and designed to discourage this. But since you need a boarding pass to get the customs stamp I had to wait for Wow Air to open a desk. Once you get your boarding pass you also give them your checked luggage. Customs want to see what you have bought, not just receipts, so be sure to have it all in your carry on luggage. People who get boarding passes ahead don't have this issue as they are still in possession of their checked luggage. Once you have the customs stamp you then have to find the correct bank/agency for the refund. There are several. All this takes time and waiting in line and then you still have to clear security. So I barely made my flight out of Copenhagen. It's stressful and shouldn't be. I was at the airport 3 hours before the flight hoping to take care of all of this.